Attractions . Culture . travel . History . 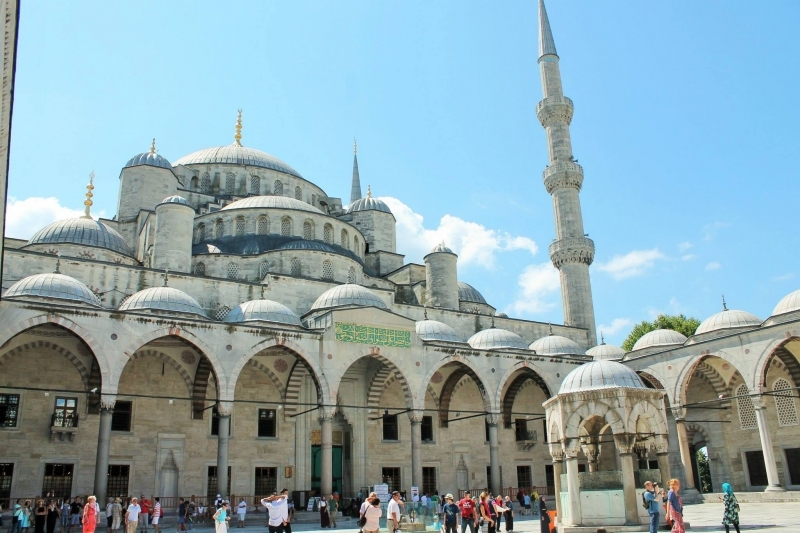 There is no shortage of sightseeing in Turkey’s largest city. 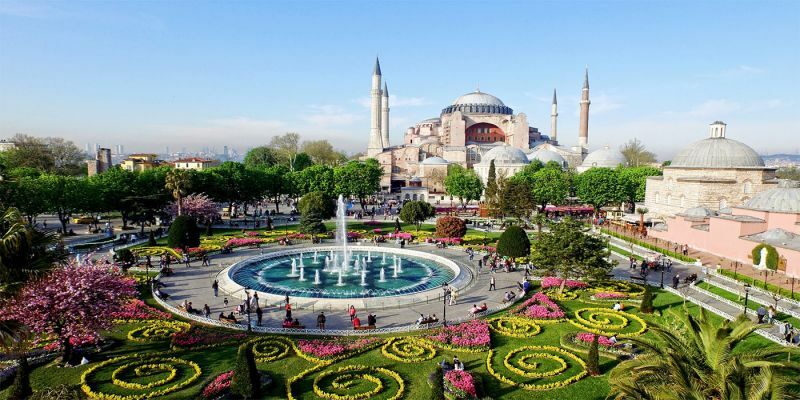 Start at the Hagia Sophia, one of the best-known landmarks in the city, and make your way through famous sites, such as the Blue Mosque, the Basilica Cistern, and the Topokapi Palace with its luscious gardens. 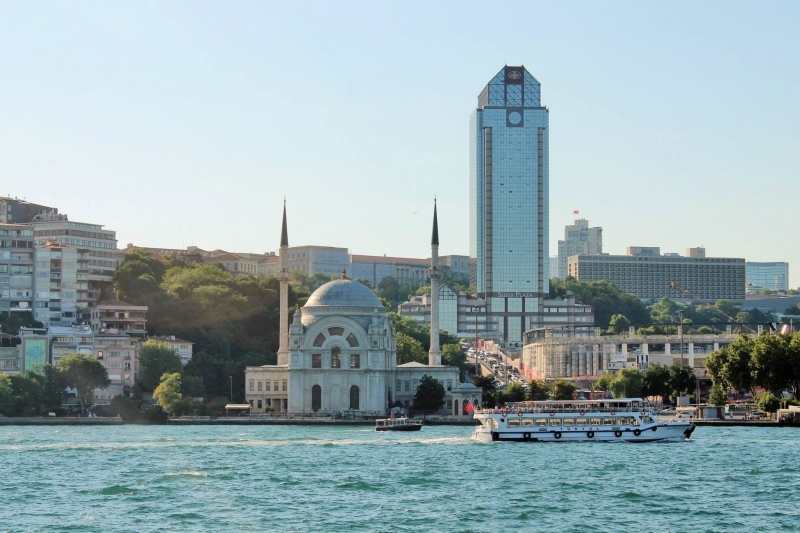 Embark on a short cruise from the Western to the Eastern side of Istanbul, or take a longer journey. During the cruise, take in the views of river-side architecture, visit the smaller villages along the shores, or sail out to the Black Sea. Fresh, spicy and delicious, are three simple words to describe Turkish cuisine. But in truth, it is a complex combination of flavor, skill and ingredients. 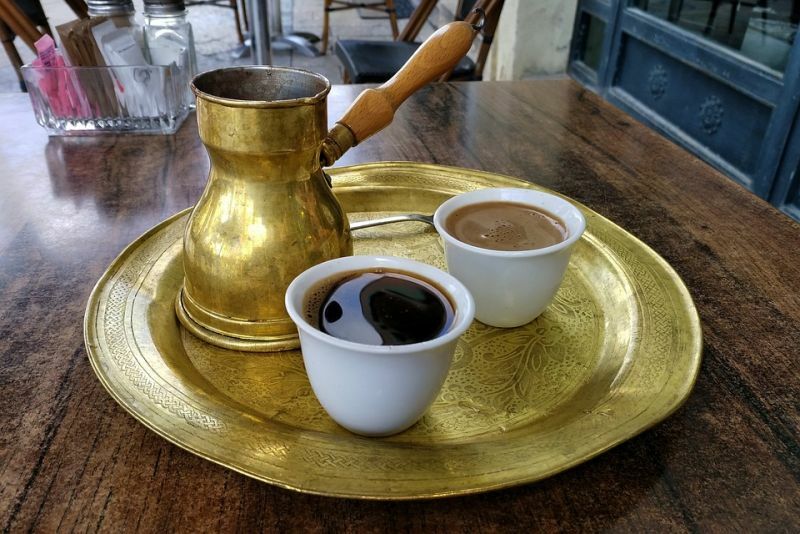 Taste favorites like kofte meatballs, sis kebab grilled meats, a variety of mezes or appetizers, and finish your meal with a strong traditional coffee and baklava or rahat lokum. 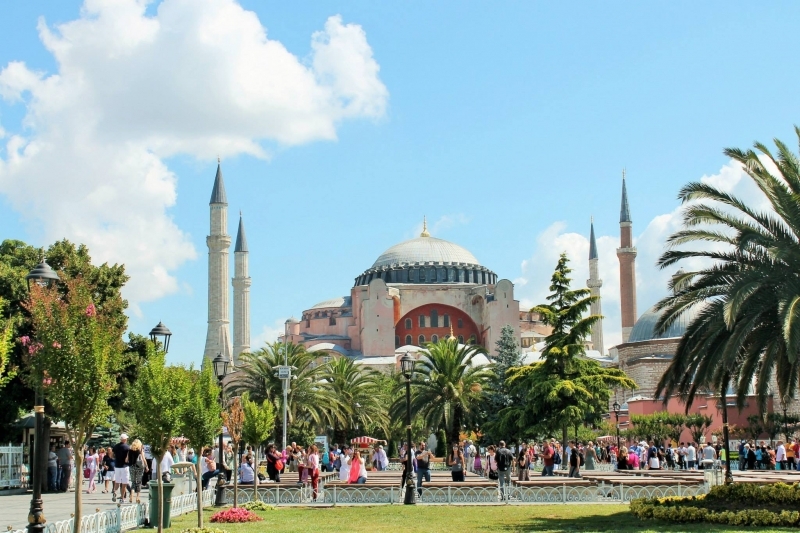 Visit the ancient Greek city of Ephesus, to see the spectacular and well-preserved ruins. Easily accessible from the coastal city of Selcuk, visitors to Ephesus can visit The Great Theatre with capacity for nearly 24,000 people and ancient temples such as the Temple of Artemis and the Temple of Serapis. 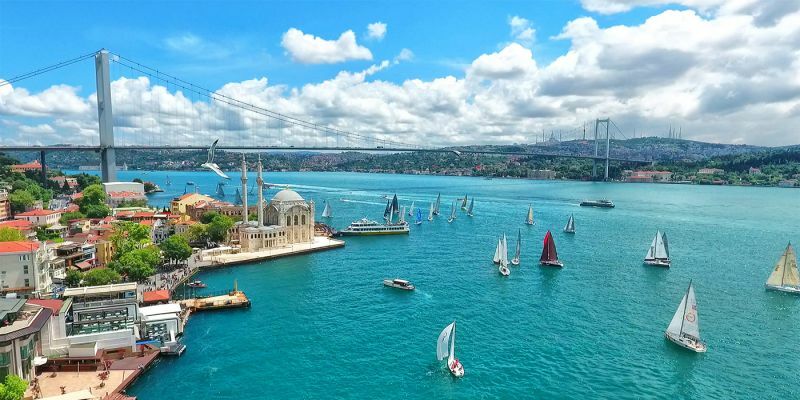 With three seas to choose from, Turkey is the perfect beach destination. 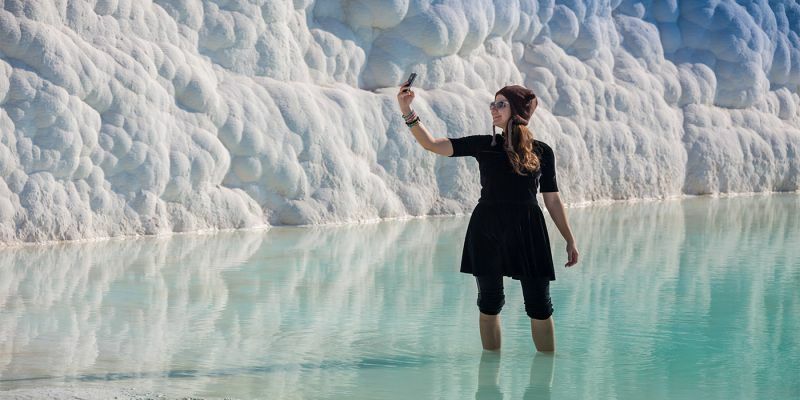 Visit the Aegean towns of Alacati, Kusadasi and Bodrum for azure beaches and ancient ruins nearby, the resort towns around Antalya’s Mediterranean coast, or the likes of the Blue Lagoon in Oludeniz. 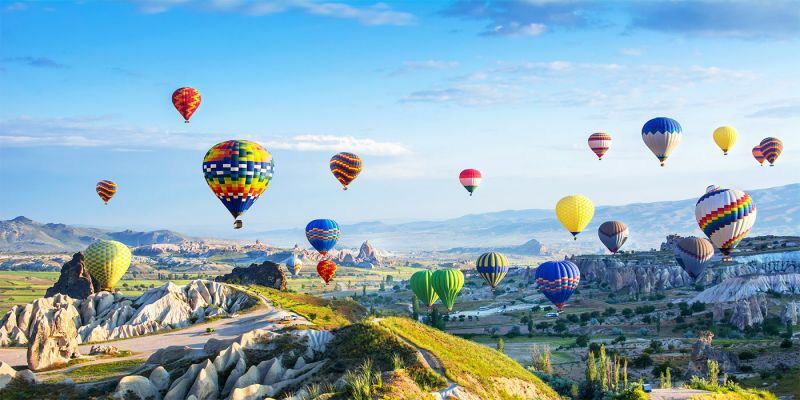 The photos Cappadocia speak for themselves – the breathtaking landscape in the arid lands of central Turkey is easily accessible from the cities of Nevsehir and Goreme. 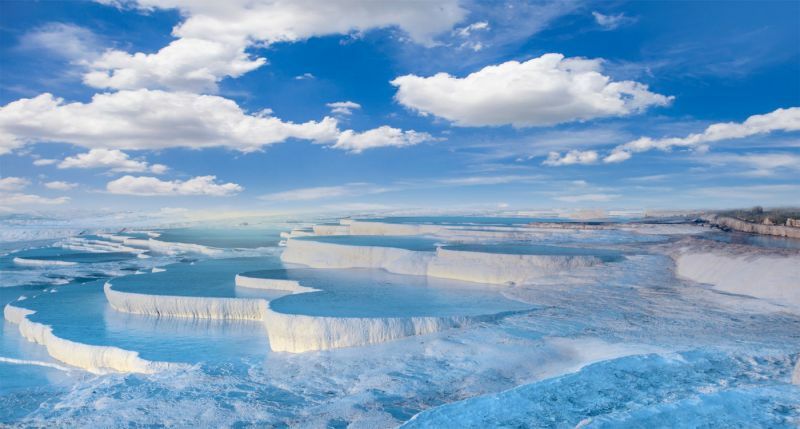 Another location of out-of-this-worldly beauty, you can walk among the white travertine terrace where thermal waters have formed stunning blue pools. You can even take a swim in a mineral pool nearby. There are many traditional dances in Turkey and you can see them performed in most touristic cities. 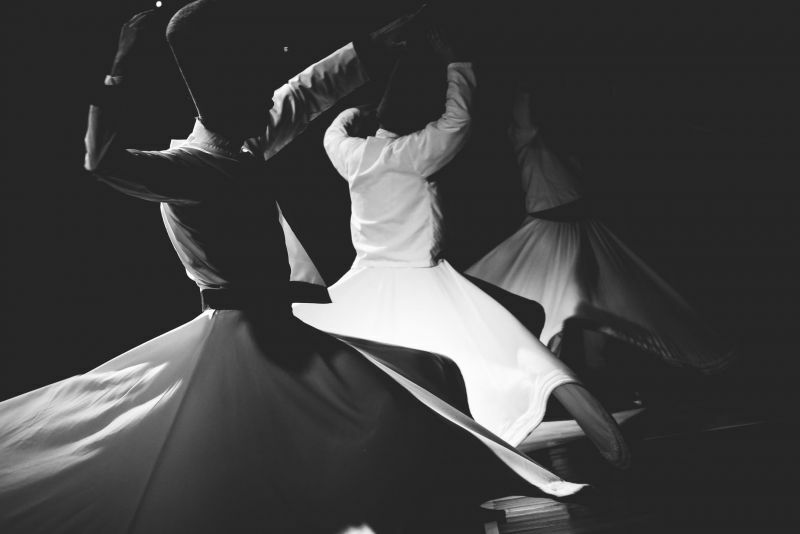 One of the most interesting is the Whirling Dervishes, a dance to express emotion and achieve the wisdom and love of God. A little off the beaten path, Mount Nemrut is a stunning collection of ancient statue heads, declared a UNESCO World Heritage Site. Stunning landscapes, ancient castles, and a salt lake 1,600 meters above sea level – Lake Van in southeastern Turkey is the largest lake in the country and well worth a visit. There are many traditional dances in Turkey, you can see them performed in touristic cities through one of our Turkey travel packages!